Just finished one of the crochet projects I was working. 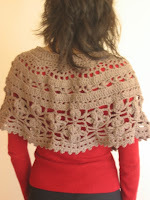 It´s a very fun to do capelet. 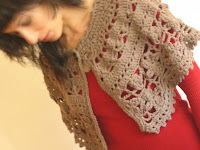 The pattern is from Interweave magazine and can be found here. Obrigada Sônia! Uma feliz Páscoa e um beijinho!